Roowedding.com – Lighting becomes the essential and attractive elements which can evoke a beautiful look to the wedding decor. All of your wedding theme and decor would be perfect by adjusting lights ideas. There is 5 Romantic wedding lighting selection which almost often uses for decorating wedding reception. It can add a feeling warm, chic, and joy to your wedding. 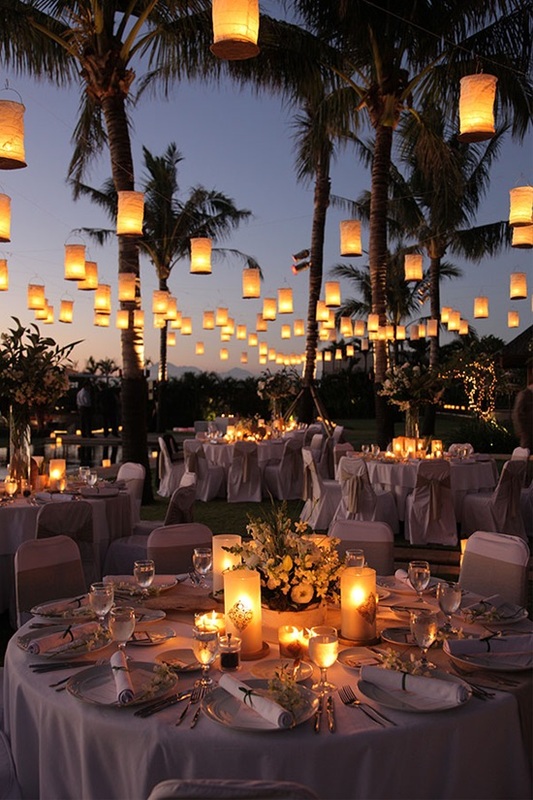 Suits your wedding theme with the types of beautiful wedding lighting ideas so that it looks so gorgeous and stunning. Get ready to see and choose your favorite lights which suitable for your wedding concept here! This lights very appropriate to apply in rustic barn wedding. It can support the character and make the wedding circumstance more spectacular. It can enhance your wedding concept more striking distinct look. Besides that, by using this lighting, it can bring out starry skies effect around your wedding area. This also become the most favorite romantic wedding lighting which everyone often uses for perfecting their rustic wedding concept. 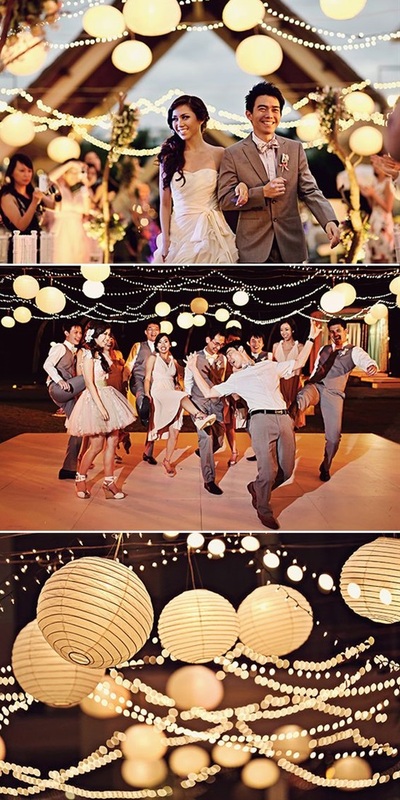 There are 2 types of the lantern which can be used to decorate wedding place. Let’s see the fabulous one below! Chinese lanterns are famous enough as the beautiful decoration which can help to confer your wedding into an attractive decor. Identical with a circular shape, it would be perfect to apply as your wedding decoration. It will present cheerfulness to your wedding guest also while they are coming to your party. If you want your wedding reception looks gorgeous and outstanding, Chinese lanterns become a suitable beautiful wedding lighting ideas which can support an outdoor wedding theme. Lanterns look lovely during the day or evening for all styles of weddings. You can hang them from trees, ceilings or hooks. It might bring out a vintage impression that can show off to your wedding place. Another that, a romantic moment is appearing to your wedding area. For you who have a planning to celebrate your wedding with vintage ideas, this kind of wedding lighting is suitable to support it. Bulbs become the best romantic wedding lighting which very appropriate to create a pretty look. This might you use for a vintage wedding also. If you like an old-style, it is suitable if you apply and use this lighting to decorate your wedding place. A romantic nuance can appear by using this one around your wedding reception. Candles are the best definition of romance feel. Kinds of a wedding theme, candles also offer a sweet amber lighting that exudes a warm and intimate charm. If you want to make it looks different, put the candle in a small jar or cute mini cage. It looks more trendy and beautiful. Then, the last of beautiful wedding lighting that offers here, majestic lighting or chandeliers become the most popular one to use for perfecting your wedding theme. It might help you to elevate your wedding place decor. If you want to show off an elegant and graceful ambiance, this kind of romantic wedding lighting ideas above is the right option to be chosen. 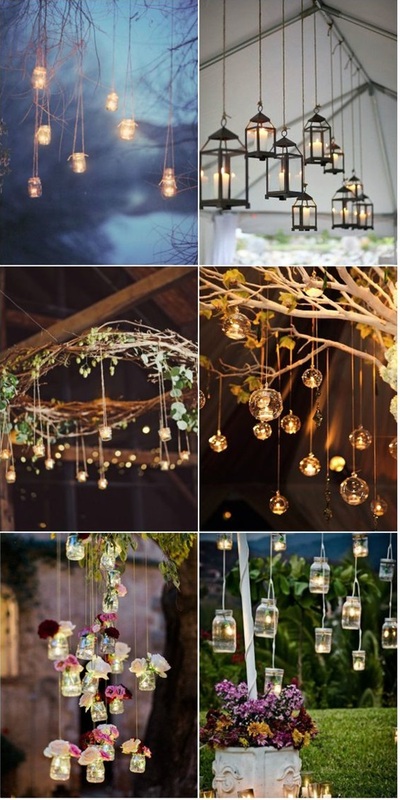 Which a suitable lighting for wedding decor you like?